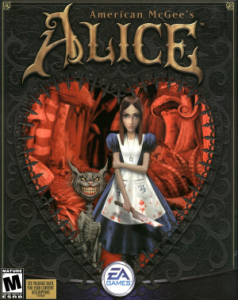 Next at number 21 of the Top 25 Must-Play Video Games we have American McGee’s Alice, a dark, psychological take on Lewis Carroll’s classic children’s book. American McGee and Rogue Entertainment’s 2000 horror, action/adventure, platform game for the PC (Mac OS, OS X and Windows), PS3, and Xbox 360 – American McGee’s Alice. 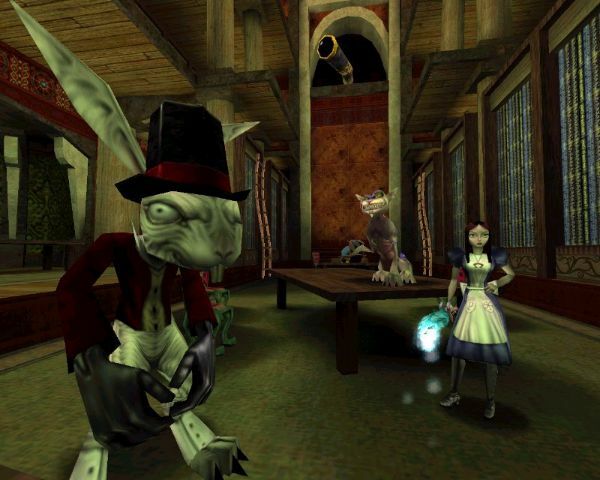 The game is set years after Alice’s Adventures in Wonderland and Through the Looking Glass. It features a tortured, macabre version of the Alice that we know. After a house fire kills her family, Alice loses touch with reality and is moved to Rutledge Asylum to receive psychiatric treatment. After ten years in the asylum, she is called back to a radically altered Wonderland, now ruled by the vicious Queen of Hearts. Alice must now defeat the Queen of Hearts, save Wonderland and somehow regain her sanity before all is lost. 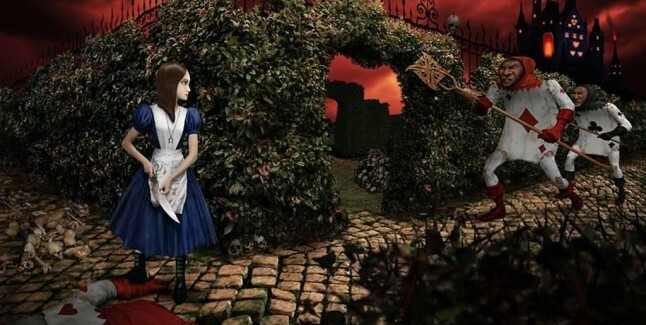 American McGee’s Alice is a marvelously sinister rendition of a classic tale. It’s clever design motifs and dark themes make Alice a real horror gem and puts the title in our count-down. What really makes this game work is the theme that Wonderland is a product of Alice’s imagination. Now that Alice is full-grown the Wonderland she knew has also matured and changed in dealing with her trauma. It’s a world that now reflects death, confusion, and fear. The visuals and artwork manage to stay true to the characters created in the novel whilst turning everything on its head. The Cheshire Cat for example, with his maniacal grin and emaciated frame, is still recognizable as the cryptic character that we are all familiar with. And finally the gameplay, though consisting of relatively simple mechanics, included a unique feature in which Victorian toys were used as weapons. Jacks became lethal throwing weapons, a Jack in the box would explode, and a flamingo croquet mallet could be used to defeat the enemy. Although slightly dated by today’s standards, this title introduced you to a world both disturbing and wondrous. American McGee took a well-loved children’s classic, and added depth and darkness to create a more adult verse. This ‘psychological horror’ shouldn’t be missed. Originally released for the PC in the year 2000, it is still available in its original format. However this can be hard to find and expensive. It is now available as a downloadable extra in High Definition on PS3 and Xbox 360 with the sequel, Alice: Madness Returns (released June 14th in North America and 16th in Europe 2011). Buy the original PC copy on ebay.co.uk or Amazon.com for some good deals. You can also purchase the sequel Alice Madness Returns (that includes the original) on Xbox 360 and/or PS3 at Play.com or Amazon.com.